Carnmoggas is a small, family run, pet friendly, holiday park situated on the south coast of Cornwall near Mevagissey, open all year round and located in rolling countryside with extensive views. It has its own Clubhouse with wi-fi facilities, bar and beer garden, indoor heated swimming pool with outdoor play area. The site is ideally located for holidaymakers being close to seaside, country and town, with the Newquay surfing beaches on the north coast only 15 miles away. Carnmoggas Holiday Park is an Associate Member of the British Holiday & Home Parks Association (BH@HPA). Within a five mile radius are many sandy beaches, including Pentewan, Caerhays, Carlyon Bay, Gorran Haven and Porthpean, as well as the famous Lost Gardens of Heligan, the much acclaimed Eden Project, the picturesque fishing village of Mevagissey and Charlestown steeped in maritime history. For families with children, Kidzworld, an indoor soft play is located nearby. Discounted tickets available for The Lost Gardens of Heligan on request at Park Reception. 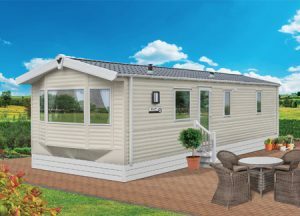 We have a number of affordable new Holiday Homes / Holiday Caravans / Static Caravans / Holiday Lodges / Park Homes / Mobile Homes / Holiday Chalets for sale in Cornwall, Saint Austell near Truro, Falmouth, St Ives, Hayle, Penzance – Caravan Site Open 12 months of the Year for All Year Round Holiday / Recreational use. 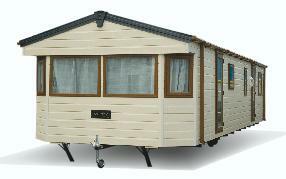 The Bromley Deluxe is comfortable and spacious with modern styling and fabrics. 12 months recreational use – 365 days a year – call to choose your own plot. Cover the running costs. Show a good return and enjoy great holidays!